… to protect dogs from harmful and unnecessary veterinary procedures. Our goal isn’t to bash vets because we truly believe that both vets and pet owners operate under the assumption that conventional medicine and its over zealous use of vaccines and drugs is the path to good health. Vets have fallen victim to the large pharmaceutical companies as much as pet owners have. While there are merits to conventional medicine to treat catastrophic injuries and detect some diseases, its ability to produce good health is questionable. Conventional medicine believes that injecting a dog with a virus that’s been spliced with other viruses and inactivated with toxins and carcinogens including mercury, aluminum and formaldehyde will prevent disease and thusly promote good health. that the toxins and unnatural entry of the disease are instead creating a chain of inflammation and chronic disease in the host animal. This issue is compounded when drugs are used to treat the disease caused by the vaccines. While the drugs may suppress the symptoms of the disease, subjecting the dog to even more toxins starts a vicious cycle of disease and dysfunction. Preventing disease by avoiding these toxic substances requires a paradigm shift, but day after day, we receive stories that confirm our beliefs that conventional veterinary medicine is broken and the dogs who are exposed to it often suffer needlessly. The story of Thunder is just one example of how conventional treatment and over vaccination can create a downward spiral into death and disease. Thunder was a normal puppy and, as such, received the normal puppy vaccination schedule. She was vaccinated every month for three months. What her owners didn’t know was that she only needed one vaccine to protect her for life and that a titer test would have shown whether she required any other vaccinations. Her owners also didn’t know that the vaccine used on Thunder contained a mix of parvovirus, adenovirus, distemper, parainfluenza and leptospirosis, a mixture that vaccine researcher Dr Jean Dodds calls a Whombo Combo, containing multiple live and killed viruses, bacterins, mercury, antibiotics and more, and how these multiple diseases increase the risk of vaccine related disease. No doubt as a convenience to the owners, Thunder was often vaccinated with rabies at the same time she received her core vaccines. She also received Lyme disease vaccines at the same time. Had Thunder’s owners known that these vaccines are among the most reactive and should be given apart from other vaccinations, would they have consented to their use? The thyroid gland is suppressed for 45 days after this type of vaccination and this creates immune suppression which in turn can create autoimmune disease. Examples of autoimmune diseases are various skin conditions, joint disease and even cancer. After her normal puppy shots, Thunder’s owners willingly responded to their vet’s expertise and vaccinated according to their guidelines. So they dutifully brought Thunder in every single year to receive these vaccines. Had they known that the rabies vaccine was only required every three years would they have consented to vaccinating Thunder yearly? Had they known that the core vaccines that Thunder received were likely to protect her for life, would they have agreed to keep giving them to her every year? Had they known that vaccines can and do cause chronic disease and cancer, would they have allowed the vet to vaccinate Thunder yearly? 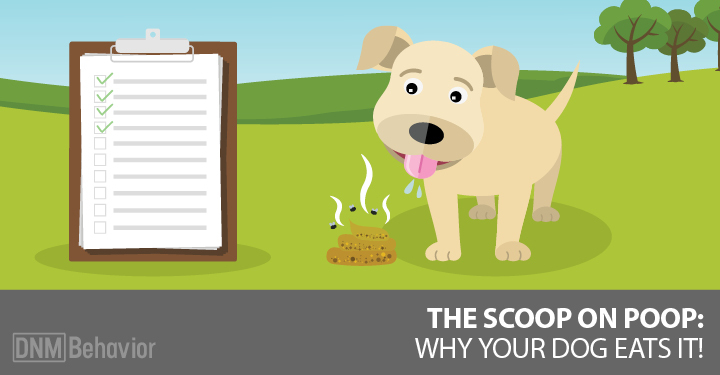 NOTE: Do you worry your dog might be getting over-vaccinated? Click Here to grab this guide and compare your dog’s vaccine schedule to what current research considers safe and protective. Thunder began showing the signs of this accumulated damage and the downward spiral of conventional medicine induced disease began. In 2005, Thunder was brought in for a mild skin condition that required treatment. She was vaccinated for rabies and given antibiotics at the same time. Would Thunder’s owners have consented to that rabies vaccine if they had known that doing so was in direct violation of FDA requirements that the animal be healthy when vaccinated? Did the vet explain to them that both the rabies vaccine and the antibiotics were immunosuppressive and that this could create autoimmune disease in Thunder? Thunder was vaccinated again in 2006. In 2007, her owners reported that Thunder had lost 21 pounds and had blood in her urine. Thunder was vaccinated and sent home. Thunder’s veterinary visits then became increasingly regular and her owners had to take a second job to pay for her quickly accumulating vet bills. But they loved Thunder as she was a part of the family and they did everything they could to help her. Did they know that they were killing Thunder with kindness? August 2007 The Aspirin dose was increased and she was placed on Cosequin and given long acting immunosuppressive steroids (which are contraindicated with Aspirin, a non steroidal anti-inflammatory). She was also prescribed antihistamines. All of these treatments are immunosuppressive. October 2007 Thunder was given even more steroids and longer acting antibiotics which would have increased the development of autoimmune disease. November 2007 Thunder was given immunosuppressive steroids both orally and by injection. December 2007 Atopica was added to the arsenal. Atopica is a chemotherapeutic agent which is very immunosuppressive. Thunder was also given more antibiotics. Her intake notes diagnosed pyogranulamatuous inflammation, a chronic inflammation which is caused by cell damage. March 2008 Thunder is again taken to the vet and her notes stated she was “sick with fever, chronic dermatitis, crusts, scabs, pustules.” She was given another long lasting immunsuppressive steroid injection. Thunder, now 11, was also vaccinated at the same time, despite her evident illness and FDA warnings against administering vaccines to a sick animal. June 2008 Despite their dwindling funds, Thunders owners brought her to a second vet for another opinion. They were then referred to a board certified dermatologist in hopes of finding a final solution. He stated that Thunder had “German Shepherd disease” and put Thunder on Tramadol, a pain medication and more antibiotics. He also recommended Thunder be placed on Hills Science Diet. He suggested Thunder’s owners might want to consider euthanasia as there was little hope for a good quality of life. June 2008 After more than $20,000 in vet bills and a lifetime of misery, Thunder was euthanized. A German Shepherd puppy is brought into the same vet clinic after her puppy vaccinations. She develops the same type of vasculitis that Thunder suffered and the vicious cycle continues. Had this puppy’s owners known about Thunder’s story, would they allow her to be revaccinated? Check out this frightening research about vaccinations. Click Here! 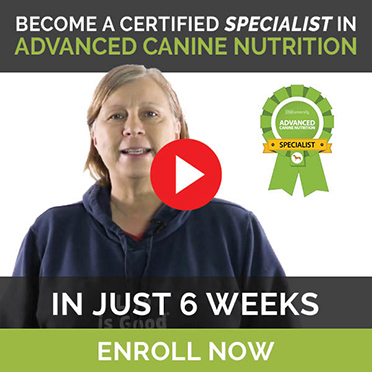 NOTE: If your dog is experiencing side effects from his vaccinations and you’re looking for a way to alleviate his symptoms you should try our Anti Vaccinosis. While not every dog’s story ends like Thunder’s, it’s important to note that much of Thunder’s misery was caused by unnecessary vaccination and that conventional medicine was not equipped to deal with the fallout it created in the first place. We at Dogs Naturally, in addition to the vets who write for us, see these cases every single day and this is why we all work tirelessly: to save dogs from the same fate that Thunder suffered. Young puppies usually need several sets of vaccination boosters (just like children) to provide them with as much protection as possible. Adult dogs that are properly vaccinated should be boostered yearly for most vaccines. Vaccination schedules vary depending on age, overall health, state regulations, vaccination type, and risk of exposure. There are over 770 of these Veterinary Hospitals with over a million pets registered for their wellness plan that covers annual vaccinations. This likely means that well over a million pets are vaccinated yearly by this hospital alone when this schedule has been questioned for its lack of science and safety since 1978. Add to this the myriad of small clinics that also vaccinate yearly – as well as the clinics that vaccinate every three years, as this interval is questionable due to the overwhelming evidence that the core vaccines likely last for the life of the animal. This equates to millions of pets just like Thunder who are exposed to unnecessary vaccination when conventional medicine isn’t equipped to deal with the carnage it creates. Don’t let your dog fall victim to what noted vaccine researcher Dr Ronald Schultz calls “an indefensible practice.” Every vaccine has the ability to cause a lifetime of misery in your dog, so know remember Thunder’s story and choose your vaccinations wisely and sparingly. Most importantly, don’t trust that your vet is well equipped to make vaccine decisions for you. “…a dog that is appropriately immunized as a pup probably never requires another core vaccine during its lifetime.” Michael J. Day “How I Vaccinate an Animal with Previous History of Adverse Reaction”, Proceedings of 2010 WSAVA Congress, Geneva http://www.vin.com/proceedings/Proceedings.plx?